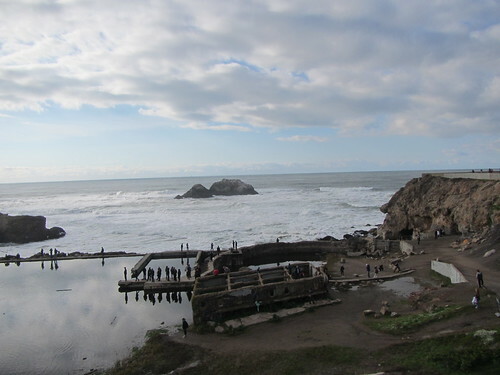 Our holiday season was very relaxing, but we had guests visiting and I didn't get a chance to post on TFL much. So, before we get too far into 2013, here are my last two bakes of 2012. 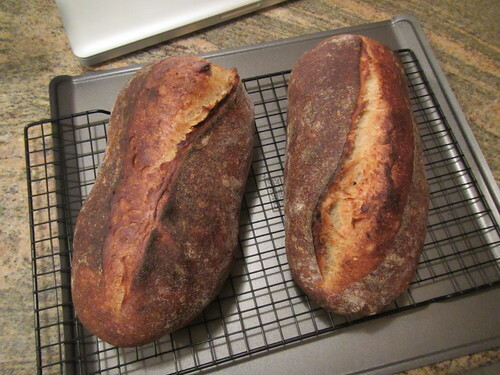 The first is my San Francisco Country Sourdough, a command performance since the batch from a few days earlier disappeared in a flash of hungry family. 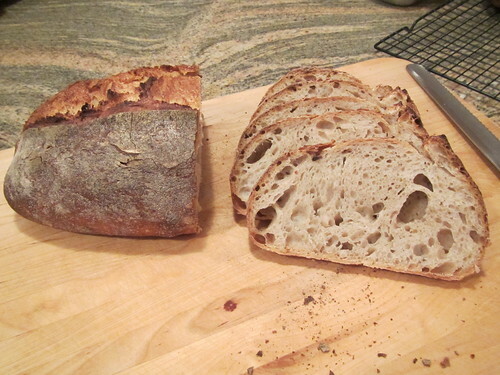 Then, I used the Hamelman Vermont Sourdough with Whole Wheat to give a baking lesson to a visiting friend. Both bakes were very satisfactory. The Vermont SD came out nice and dark, the way we all like it. By the way, these are my first bread photos with my new camera, a little Canon that's designed to be used under water (for an upcoming trip to the Galapagos). It takes pretty good photos above water. 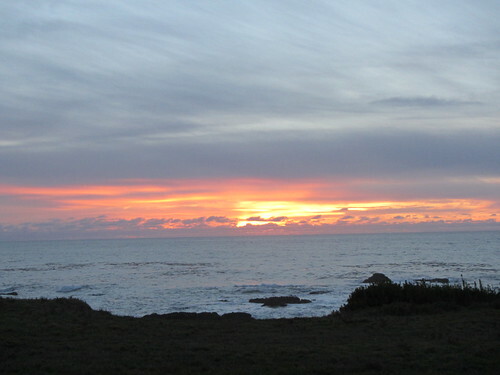 And, so the sun sets on another year. Best wishes for a breadful 2013. I expect my Galapagos clips to be just like that, except with Sea Lions, Marine Iguanas and Galapagos Penguins going down the slide with me. I got the PowerShot D20, same camera with a bit more zoom. Hope it holds up in salt water every day for a week. 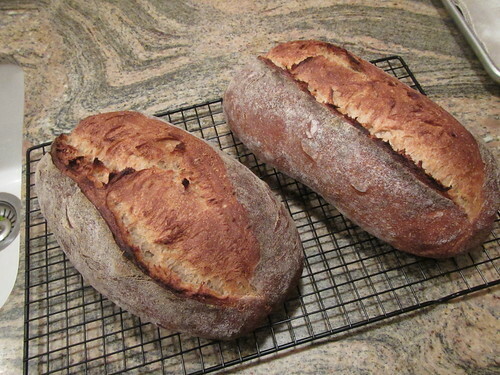 Nice looking loaves Glenn and a great way to end 2012. I would love to trade places with you and go on your next trip to your tropical paradise...how's China sound to you? Happy New Year and look forward to seeing your photos. Those loaves were all consumed, and greatly enjoyed, by house guests. Our Galapagos trip is in March. I may try the camera in a pool before then. I won't be baking any bread on the trip. Good news is that the company we're going with, Lindblad Expeditions, has great food, including excellent breads and pastries. We've been to Alaska and Baja California on their boats. Those are the kind of loaves most of would love to finish off the year with, and more than just "very satisfactory" IMO. 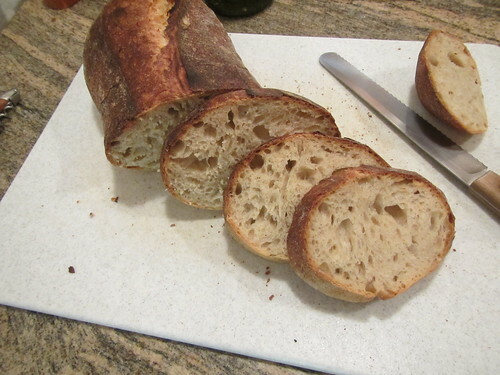 Beautiful crumb and crust on both, great baking! All the best for 2013 and hope you have a wonderful Galapagos adventure. Yes, I suppose these were more than satisfactory. I'm just trying to be understated. I appreciate the kudos. Wishing you an excellent year, too. saved the best for last Glenn. Beautiful loaves. 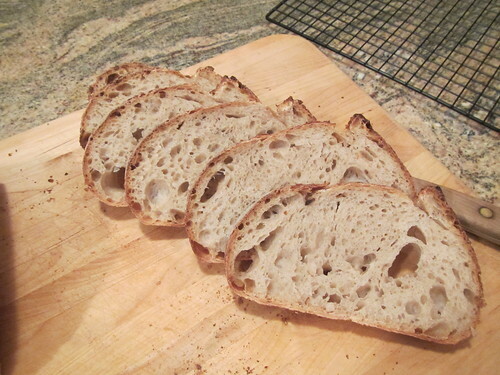 They were real good, but the best of 2013 was the Hamelman Five Grain. Love that bread. I remember your post with the Five Grain...that bread was lovely, as are these. Best wishes to you for your baking and travels, in the year ahead. 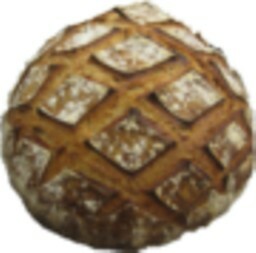 not the least of which will be, your breads! Compliments from a bread artist such as you mean a lot. Many thanks. I'm looking forward to running the new camera through its paces. Glenn, such a kind thing to say - thank you!